Thanks to the organizers and volunteers for making SQL Saturday #108 an overwhelming success. I’m just wrapping up the day following the Redmond SQL Saturday held in the Commons on the Redmond Microsoft campus. Greg Larsen and all of the organizers did a fantastic job to make this a successful event for well over 300 attendees. With his usual flair and wit, Buck Woody gave the key note address; talking about cloud services, service oriented architectures and how to make yourself valuable and indispensible in the IT database marketplace. Thank you for all those who attended my session on dashboard design with SQL Server Reporting Services. I enjoyed Mark Tabladillo’s insightful presentation about SQL Server data mining and particularly how to use PowerShell to create and manage mining models. Kevin Kline from Quest Software educated and entertained us with SQL Server trivia questions. I spent the afternoon talking shop with members of the SQL Server Customer Advisory Team (SQLCAT) and caught up with several of the other MVPs and speakers including Aaron Nelson, Jes Borland, Hugo Kornelis, Mark Simms, David Eichner, Wes Brown, Stacia Misner, Buck Woody and Kevin Kline. Nice job, everyone.You just can’t compare SQL Saturday to any other event with headliner speakers from the industry conferences and authors of the leading industry books, speaking for free to support the community. If you are not attendee a SQL Saturday close to you, plan to attend one at your next opportunity. 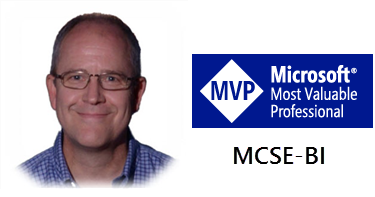 This entry was posted in MVP Community, SQL Saturday, SQL Syndication. Bookmark the permalink. Trying to locate the person that attended sql saturday that left behind his/her HP usb drive. Had lots of pictures of new baby of the family. If anyone is missing this, contact tsathern@worldvision.org.